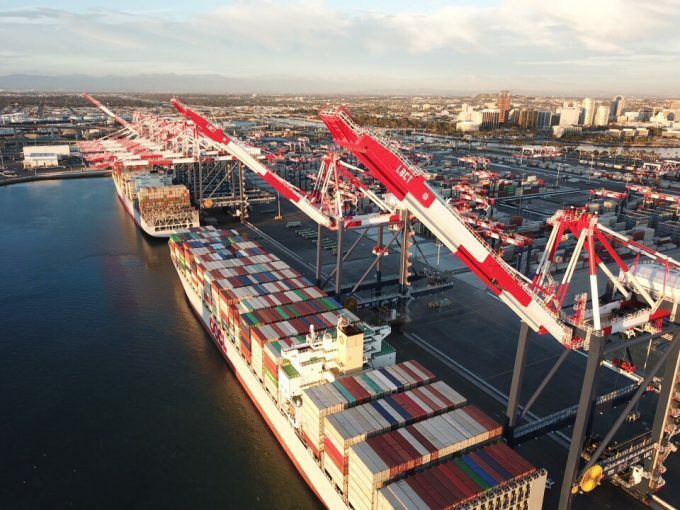 COSCO has appeased US security concerns over its acquisition of OOIL and its container arm OOCL by agreeing to concede ownership of the OOCL-operated Long Beach Container Terminal (LBCT) to a US trust pending its sale to a third party. The Committee on Foreign Investment in the United States (CFIUS) has told COSCO and its minority stake partner, state-owned Shanghai International Port Group (SIPG) there were now “no unresolved national security issues related to the transaction”. Following the last-minute green light given to the $6.3bn deal last week by China’s anti-monopoly bureau, overcoming US security concerns was the final obstacle to a takeover first announced on 7 July last year. The merger will lift the new combined entity to third in the container line rankings, with a fleet capacity of 2.74m teu. Resolving the concerns of CFIUS, although not a primary pre-condition of the transaction, was certainly a potential deal breaker, given that the powerful US government agency has previously vetoed a number of deals involving Chinese buyers on the basis of a “threat to national security”. It is not known whether the final offer price will have been adjusted to reflect OOIL being obliged to sell LBCT. The transaction parties, together with the US departments of Homeland Security and Justice, have entered into a National Security Agreement under which COSCO and OOIL have committed to divest the LBCT entity to a “suitable, unrelated third party”. No details of any potential purchaser has been announced to date. According to the agreement, when COSCO has acquired 50% or more of the shares of OOIL, ownership of the terminal facility will be transferred into a US trust, of which the principal trustee will be a US citizen and under which OOIL is the beneficiary. A potential purchaser for LBCT must be acceptable to all parties, the transaction must be “commercially reasonable” and the buyer must not be a shareholder of OOIL. Upon completion of the sale the agreement will end, but until then, to be responsible for “day-to-day compliance”, OOIL will nominate a “security officer” who will not be a shareholder of OOIL. Other US businesses currently owned by OOIL – its US liner agency business, logistics business and ownership of a building in New York – will pass to the new owners.